1. Admit that you are powerless over translation agencies. 2. Make a searching and fearless inventory of the times you have found yourself saying “I might as well take this job for $0.0000000006 per word; if I don’t, someone else will!” or “A client who pays regularly at 8,275 days is still better than one who doesn’t pay at all!” or “Agencies are a business like any other; it’s only natural that they try to make as much money as possible.” Acknowledge that the justification of unjustifiable behavior is an addiction and that your life as a translator has become unmanageable. 3. Prepare to receive a truth of the universe in nine words: Translation rates are dropping because translators accept low rates. If you want rates to stop descending, you must take your finger off the elevator button. Immediately. There is no methadone for people who are willing to translate for half what the average busboy makes, so the only way to combat this addiction is cold-turkey. Make amends by explaining clearly, each time you respond to an insulting offer, refuse a low-wage job, or decline an invitation to lower your rates why you are doing so. I know Miss Manners says we’re not supposed to tell crass, rude people that they’re crass and rude, but she’d make an exception if she were a translator: Low-payers are the abyssopelagic feeders of the sea of translation. Do not hesitate to send them back to filter the ooze whence they came. 4. If you are truly living on Kibbles ‘n Bits, cannot pay the rent, or are slipping your child thinly diluted Elmer’s glue because it’s cheaper than milk, you have an excellent excuse to accept offensive working conditions and insulting wages. Temporarily. While you look for a job that pays you a living wage and doesn’t screw your colleagues who depend on translation for their livelihood. Otherwise, you don’t have an excuse. Not everything in life is black and white, but this is. Meanwhile, if you are not truly in need, stop using that pretext to justify your participation in the destruction of the profession. It might happen to any of us to find the wolf at the door, but he isn’t at everyone’s door all the time. Don’t use the real misery of others to disguise the fact that you couldn’t locate your self-respect with a Sherpa guide and GPS. 5. Conversely, if your parents are still paying your rent and buying your groceries, your husband is the CEO of Halliburton or the President of Mediaset, or you’re a trust-fund baby who just “loves languages,” do some good for the profession and your immortal soul and start translating for free. There are dozens, if not hundreds, of worthy non-profit organizations who could use your help. In the meantime, some of us are trying to earn a living here. Your “pin-money” rates are killing translators who depend on translation as their sole source of income. 6. Accept the fact that your degree from Acme School of Language Mediation or The Flinghurst Academy of Translationology is substantially worthless. Translation is learned in the field, not in the classroom. If you are nonetheless a recent graduate of such a program, here is what to do until you’re truly prepared to command professional rates: apprentice yourself to a translator you trust, donate translations to a worthy cause in order to build your curriculum (see No. 5, above), spend your free time doing practice translations for your personal training, improve your ability to write in your native language, read—a lot—in both your languages. DO NOT: offer cut-rate translations or beg clients to let you work “for practically nothing” because you “love translating.” Why not? For the same reason that there’s a sign at the zoo that says “Don’t Feed The Monkeys.” Because, if you do, they get fat and lazy and never learn that professional, well qualified bananas are not handed around for free. 7. Stop allowing clients to dictate your fees and working conditions. Do you really need me to trot the analogy out for you one more time? Do you? Really? Fine. Here it is: You sit down to eat in a restaurant. After consulting the menu, you call the owner over to your table. “This steak is overpriced,” you say. “I’ll pay half, and I want you to throw in a bottle of wine with that. If you don’t get everything on my table within ten minutes, though, the deal’s off.” What happens in a restaurant is that they toss you out on your stern. What happens in translation is that you say, “Oh, yes, Mr. Client, thank you, Mr. Client, may I please have another, Mr. Client.” Three words: Knock. It. Off. 10. Translation is not the ‘Ndrangheta. No one will send you to sleep with the fishes if you fail to maintain a lifelong pledge of omertà. Tell your colleagues when clients don’t pay, when they make unreasonable demands, when they revise without telling you, when they insist that you lower your rates, when they forget to put your name on the translation, when they change the agreed-upon conditions after you’ve already started, when they refuse to pay for urgent or after-hours work, when they demand unwarranted discounts. Accepting these conditions silently doesn’t make you a Wise Guy; it makes you an accomplice. 11. Stand up for your native language. Take pride in seeing it used eloquently, fluently, and well. Take offense when it is abused and disrespected. Don’t believe the hype about globalism, world languages, and all the rest. Stop caving in to the absurd and unverified claim that non-native translation is just as valid as native translation or that the people who read translations in their second language “don’t care” if they’re well written or not. Your ability to deploy your native language with sophistication, flexibility, and skill is your most important selling point. You may never succeed in convincing everyone of the importance of this issue, but consider this: many people also find it acceptable to drink wine that comes in boxes, watch Fox News, or buy Lady Gaga CDs. If you’re a language professional, you’re supposed to be above things like that. 12. If there’s anything worse than translators who complain all the time, it’s translators who complain all the time about translators who complain. Let’s suppose you make lots of money, your clients are respectful of your time and your expertise, and everyone pays you promptly. If so, let’s call that what it is: Enormous luck. What it is not is a license to lecture everyone on how they should just stop whinging and get back to work. The fact that translators complain is a good thing; it indicates self-esteem and an instinct for self-preservation, as distinct from your sense of superiority and every-man-for-himself smugness. If you have nothing to say that helps moves the profession forward (and not just your personal little slice of it), at least have the decency to get out of the way of people who are trying to make things better (including for you, buckaroo). it makes you think a lot, thanks! Thanks for this, terrific! I’ve forwarded it to three Dutch translators’ lists, hopng more and more will join us here! How can I thank you for writing this? I was half laughing, half crying, through all of it, mostly because (a) it’s so true, and (b) I’m just so glad someone finally put it out there like this. Now to get this out to more people. Keep up the great work. “Mirror, mirror on the wall…” is not just for Snow White. If we don’t take pride in the service we provide, no one else will give us our due. Love this site! “Translation rates are dropping because translators accept low rates.” — that is indeed the key point! Excellent. Professionalism is a deep state of mind and it starts with self respect. You can’t have that if you accept stoopid rates for translation. I have worked as a professional translator for almost 40 years now. If only all students and aspiring translators took these points into consideration. As a consumer I hate all the substandard translations made by amateurs. >Conversely, if your parents are still paying your rent (…) do some good for the profession and your immortal soul and start translating for free. There are dozens, if not hundreds, of worthy non-profit organizations who could use your help. Hm. I’m kind of in this situation… Could you name a few? I’d start with the most obvious one: Translators without Borders. Then I’d get signed up for online listservs and groups in my language combination and offer my services to nonprofits. You won’t wait long before someone takes you up on it. Excellent article, thank you for explaining it all so concisely and with the razor-sharp edge. It is impossible to convince some customers of the fact translation is a valuable profession and the pay should reflect this. Consistently being undercut by agencies who work at these rock bottom prices is so frustrating, especially when you know the translator you are working with could probably do a far better job! Excellent, thanks for reminding us how much we are worth! First of all i want to thank whole heartily to publish these facts and points of the profession which are now very important to help the profession and professionals. Each and every point is so true and fact that all these points are in my mind since many years, but as i am not so good at expressing these points whenever i get a chance to promote articles like these which mirrors the facts of the profession i really like to support. As soon as i read this article i have added the logo of this movement in my profile so that it will reach so many people daily who will visit my profile. I am so happy that this movement have started now at least, late is better than never. Hello and thanks. 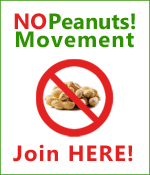 But just to be clear: No Peanuts! didn’t start “now.” Our movement is three years old! very very good, and sadly true…. 13: never, never, NEVER wok for an Italian tribunal. it sums up and doubles all the previous 12 bad behaviour on the client side…..